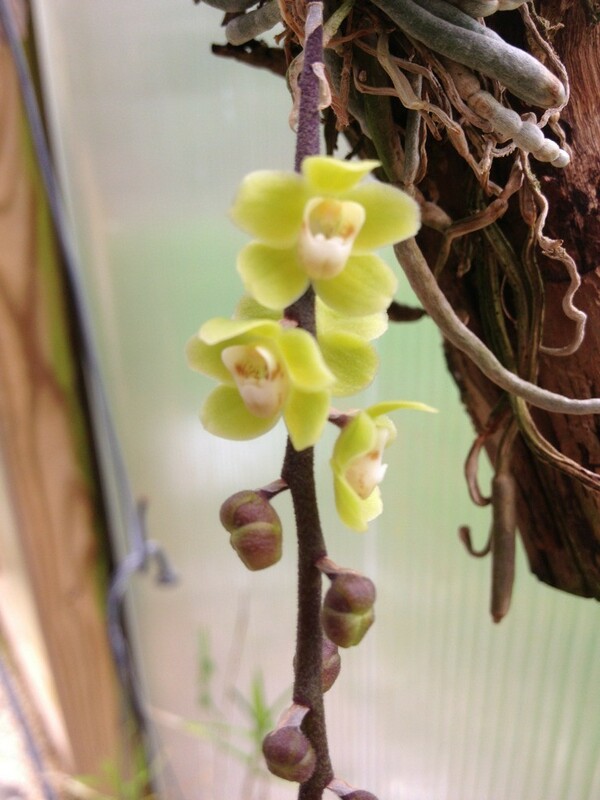 Discussion in 'Orchid Species' started by ZWUM, Apr 24, 2013. I didn't notice this was even I spoke! The flowers are quite large. Yours produces very stumpy roots! Do they start growing and then stop? Mine are always pretty long. I don't know why the roots grow like that, they always have. It's probably a cultural thing, I suppose your right, they grow for a while then stop and start again. Sorry, this is not lunifera...more likely viridiflava or other species. lunifera has a large maroon brown blotch on each of the sepals and petals. Many sellers of lunifera have mis-identified plants. 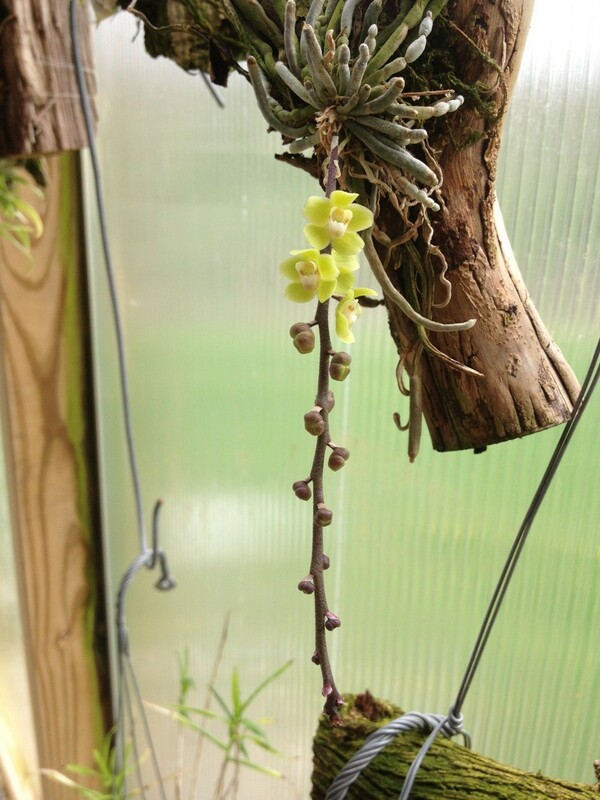 Part of the problem with this genus is without flowers the plants/roots all look the same! Thanks Pete. I've always wondered if the ID was correct but looking at viridiflava it certainly looks more similar to that one.